Isiah Factor | The Insite » SEAN LEVERT’S WIFE GETS $4 MILLION! SEAN LEVERT’S WIFE GETS $4 MILLION! June 18, 2010 | Posted in Uncategorized | Comments Off on SEAN LEVERT’S WIFE GETS $4 MILLION! THE COUNTY JAIL IS STILL ADMITTING NO LIABILITY! The widow of R&B singer Sean Levert has won a $4 million settlement of a lawsuit over his 2008 death in an Ohio jail. The agreement was reached this week in a federal court in Cleveland. Under terms of the deal, Cuyahoga (ky-uh-HOH’-guh) County and a jail medical services admit no liability in the case. Levert was jailed on March 24, 2008 after being sentenced for owing nearly $90,000 in child support. He died six days later. He was 39. Turned out he had been denied anti-anxiety medication — and the coroner said withdrawal from the meds contributed to his death. 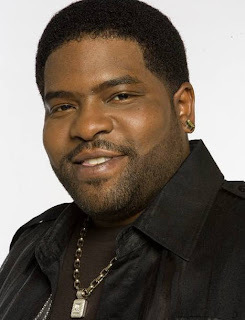 Sean Levert was a member of the 1980s R&B trio LeVert and the son of O’Jays lead vocalist Eddie Levert.